Dawson Creek is a city in Northeastern British Columbia’s Peace River region, and located at the foot of the Bear Mountain Range. It is 74.6km south of Fort St. John, and 131.5km west of Grande Prairie, Alberta. Dawson Creek is 24.37 square kilometres in size and has a population of approximately just over 12,000. Its beginnings were as a farming community, but it grew into a town when the western terminus of the Northern Alberta Railway was extended there in 1932. Today it is known as ‘Mile Zero’ for the Alaska Highway. The local economy in Dawson Creek is powered by the agricultural, oil and gas, retail, and tourism sectors. It is the primary regional trans shipment point for agricultural commodities, and one interesting point about Dawson Creek is that it uses Mountain Standard Time all year round. There’s never any moving clocks forward or backwards in Dawson Creek. Like many spots in the Peace River region, Dawson Creek residents and visitors have ample opportunities to get out and enjoy nature at its very best just outside of town. There’s no better example of this than Kiskatinaw Provincial Park, 4km off the Alaska Highway on Road 64. The entirety of the park is exceptionally nice, and features the beautiful Kiskatinaw River running right through it. River access is easy in the park, and fishing for a number of different species is excellent in Spring and Fall. Fishing in the Peace River is good all year round, and you can get some big bull trout in the winter months if you’re willing to brave the cold as you cast from the banks. Rotary Lake is also an excellent spot for summertime swimming and also features a playground, BMX bike course, and cooking shelter. The Dawson Creek Spring Rodeo is great, but it’s outdone every year by the Dawson Creek Fall Fair & Exhibition, a 5-day professional rodeo with parade, fairgrounds, and exhibitions. Snowmobiling and downhill and cross-country skiing are popular winter activities at nearby Bear Mountain, just a 10 minute or so drive outside of town. Snowmobilers in particular will love that there’s snowmobile trails from Dawson Creek to 200km past Tumbler Ridge, BC. Come summertime mountain biking and ATV riding are the activities of choice at Bear Mountain. Music lovers enjoy taking in the Peace Country Bluegrass Festival every year, and there’s a vibrant country music scene in town all year round. Depending on the time of year, there is always something fun to do in Dawson Creek. The city is known for it’s amazing outdoor environment and endless activities. Make sure you check out our Things To Do in Dawson Creek page to learn more. There are lots of options when it comes to Dawson Creek restaurants. The city has a variety of dining options from quiet cafes to popular franchises. There are also many authentic cuisines ranging from Italian to Japanese. Check out our Dawson Creek Restaurant page for a full listing of all the restaurants in the city. The page also includes a detailed map and Trip Advisor review ratings. No matter what type of meal you have in Dawson Creek, you’re going to enjoy it! 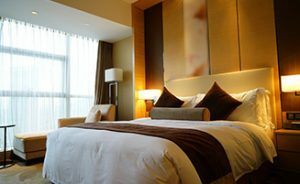 If you are looking to find some accommodations while visiting Dawson Creek then check out our Dawson Creek Hotels page. There you will find a complete list of Dawson Creek Hotels, Motels, and Lodges. It also includes Trip Advisor review links and a detailed map with every hotel location pinned. Dawson Creek is situated on dry and windy prairie lands, and there are strong winds year round in this area of the Province. Summers in Dawson Creek are dusty and arid, with warm temperatures during the day but cooler at night, and average temperatures of 21 C. Winter here is very cold and dry, with – 20 to -30 C temperatures being the norm for long stretches of the season. Check out this weeks forecast or read about historic trends by viewing our Dawson Creek Weather page. Keep up to date with everything to do with the city by reading the Dawson Creek BC Blog. The blog covers news about the city, current attractions, things to do, and more. Find more information on our Dawson Creek History and Culture page. Fort St. John and Dawson Creek are the two hubs of the Peace River Region, and both have the biggest selection of stores, shops, and services in the area. It’s fair to say residents don’t want for anything living in Dawson Creek, and there’s even a few ethnic food restaurants in the town as well. Dawson Creek has 2 ice hockey arenas, a curling rink, indoor swimming pool, and speed skating oval. Plus, like any Canadian town that has especially cold winters, Dawson Creek has an outdoor ice rink that’s used by people of all ages. The South Peace Community Multiplex also has a pool, ice rink, and indoor rodeo grounds. The Dawson Creek Golf and Country Club is an affordable 18-hole golf course that’s especially popular with both residents and visitors over the Spring and Summer months. Dawson Creek is accessible via Highway 97 from Prince George, or Highway 2 from Grande Prairie, Alberta. If you’re coming from the North then, as mentioned, Dawson Creek is right at the south end of the Alaska Highway from Whitehorse, Yukon or beyond. Central Mountain Air has connecting flights to Dawson Creek from Vancouver, Victoria, Edmonton, and Calgary and Greyhound Bus has service from Vancouver, Edmonton, and Whitehorse. Check out our Dawson Creek Driving Routes page to learn more about the best ways to get to Dawson Creek. The page also includes detailed maps and driving instructions from every direction. Find out how you can get to Dawson Creek by car, airplane and bus. There are many transportation service providers available to choose from. Learn more on our Dawson Creek Map and Transportation page. Dawson Creek real estate is characterized by many spacious detached single-family homes in Dawson Creek being available for less than 300k, and purchasing land for development can be done quite affordably as well. There is usually a good number of townhomes for sale in Dawson Creek too, and even the newest and most luxurious of Dawson Creek homes for sale will come in at well less than 1M. Many properties come with acreage, and there are plenty of farming property real estate opportunities in Dawson Creek.